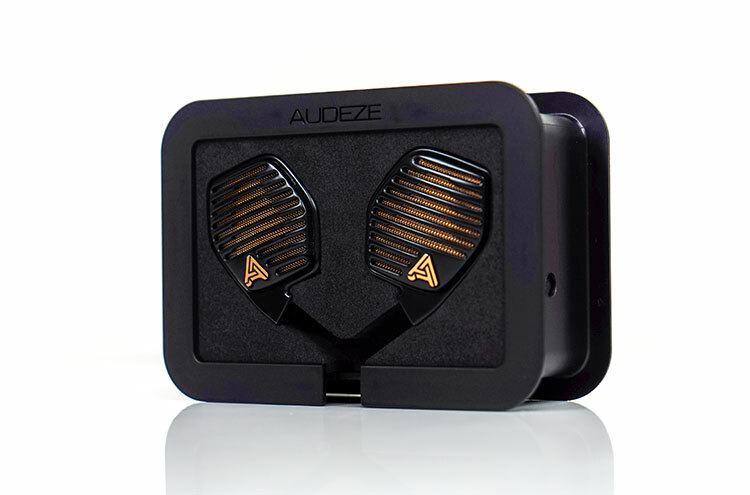 Disclaimer: This Audeze LCDi4 sample was sent to us for the purposes of this review and does not have to be returned. Thank you to the team at Audeze for giving us this opportunity. 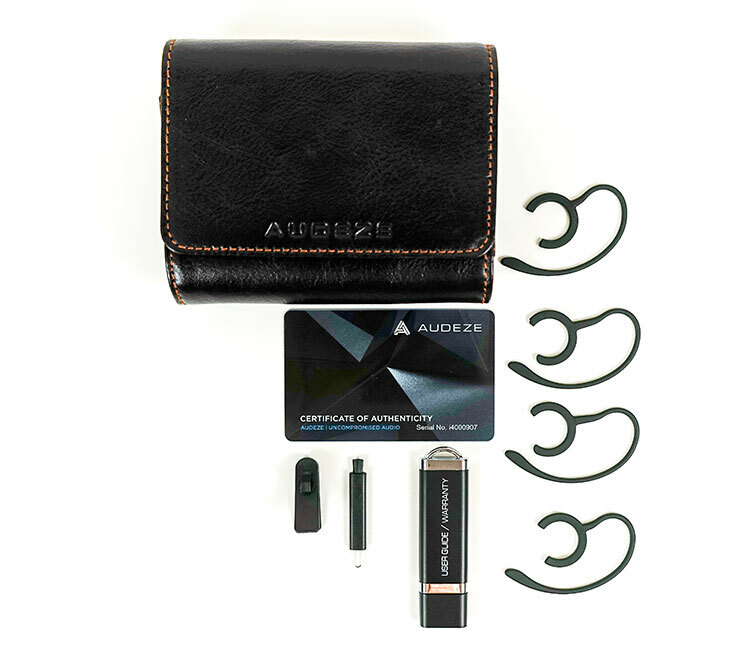 Audeze surprised a lot of us when they launched the iSINE series in late 2016/early 2017. None of us where expecting full-range planar IEMs in such a unique and open design. Mike reviewed the iSINE 20 and I took a shot at the iSINE 10 and both of us thought they were unique sounding and perhaps unlike anything we have heard before at that price. Open-back IEM designs can polarize due to the lack of isolation but there is no doubting they bring something new to the table. 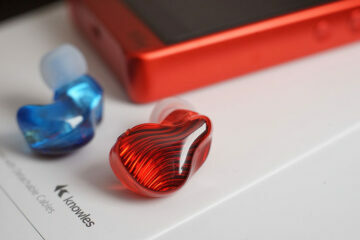 Roll on the LCDi4, the flagship open-back planar in-ear and this is something on a totally different level. Yes, it is priced at $2495 so there is that to consider. It is quite a big jump from the iSINE 10 and 20 price point. However, the LCDi4 is not being marketed as a better performing higher-end iSINE. In fact, there is no iSINE in the title. 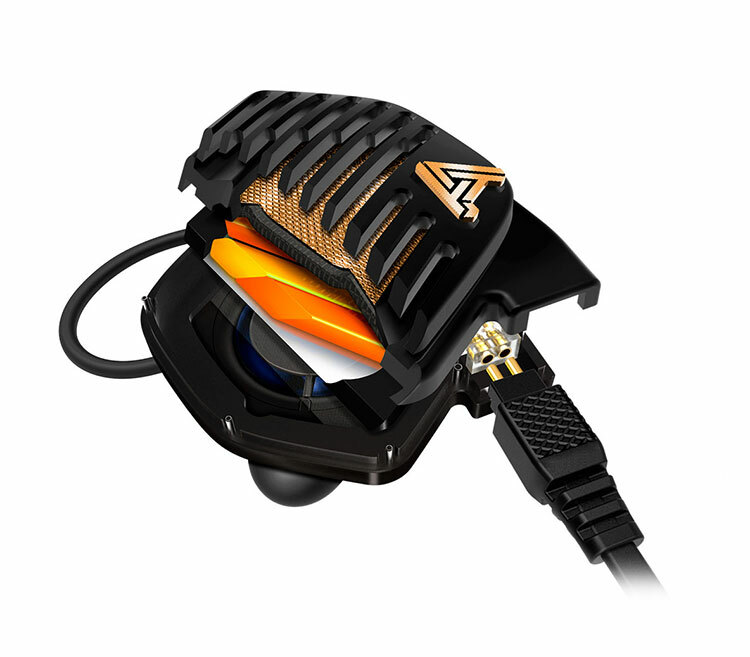 Take note, Audeze thinks this can replace your high-end headphone altogether. In short, this is being pitched as a mini-LCD-4. What that means is Audeze have taken their flagship headphone design and basically miniaturized it into a semi-open in-ear version. This is the same super thin diaphragm materials, the same Fluxor magnet materials, and the same Uniforce technology from the LCD-4. 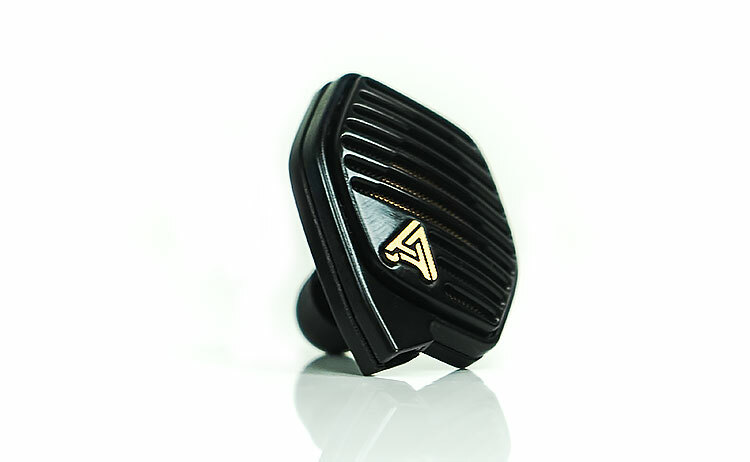 Audeze believes that this single planar driver design will bring a much better level of coherency than multi-driver IEMs with all the benefits of an open-back headphone-level design. Anyone who has worn the LCD-4 knows how heavy it is on your head after prolonged use. We have one here, it sounds excellent but at approximately 600g it is not for everyone. Now compare that to the LCDi4 at just 12g per side and you can see where a big part of the Audeze pitch comes from for these diminutive ‘headphone destroyers’. They weigh next to nothing. The pitch goes beyond the actual driver units themselves. More and more Audeze has been touting the use of DSP as a viable “tuning” mechanism with their Cipher cable in the iSINE range. The Cipher cable made a big difference to my own iSINE 10 when jacked out of iGadgets and compared to a regular analog connection out of similar sources. With the advent of the Cipher 2 cable, the LCDi4 is now part of that DSP experience. Combine this with some additional plug-in profiles for major platforms such as Roon, Audeze are now pitching the LCDi4 as having that same tweakability. Despite the verbal wording focusing more on creating an aura of an in-ear LCD headphone, the form factor of the LCDi4 still has deep roots in the iSINE class. It has that same slanted hexagonal main body and elongated angled large nozzle. It also still has the sweeping detachable curved 2-pin socket at the base and a raised ridge on the base to attach the ear clip-on to keep it in place. There are some differences though in the finish up close that mark it out as a little different tor more refined than the iSINE range. The LCDi4 housing is a touch thicker than the iSINE range and the materials used include a new magnesium top housing. The most noticeable difference is the faceplate. The LCDi4 sports a horizontal open groove design that shows off the gold gauze protector sheet over the single 30mm driver design. Its tone is more reminiscent of the iSINE 20 wire gauze. By way of comparison, the iSINE 10 and 20 go for the more striking and unusual lattice or spidey type design with the 10 using a black wire gauze just underneath. The finish on the LCDi4 faceplate feels just that bit more mature, less aggressive and more refined than the entry level iSINE 10’s bolder lines. The weight remains almost the same for the LCDi4 at 12g per side compared to 11g for the iSINE 10 and 10g for the iSINE 20. Since all 3 have the same driver size at 30mm the lack of weight differential is not surprising. Those looking to upgrade from the iSINE range will feel perfectly at home with the LCDi4 dimensions. The Cipher V2 cable does not come packed with the LCDi4. To get that you have to send in a request to Audeze or buy it online where I am told you get 60% discount off the $120 retail price. Sadly, our LCDi4 shipped without the Cipher V2 cable and we only have the V1 cable at hand which we would rather not pair and discuss due to its different internals. The V1 is really for iSINE only and I believe has now been discontinued. This is an MFI certified connection also so it has got the Apple seal of approval. It also has an iOS compatible mic and ADC control for playback and taking calls. You can also download the Audeze app for additional DSP and EQ control. The stock cable is a different ball game to the iSINE series analog cables. This is a more traditional “aftermarket” style 1.2m OCC silver-plated (SPC) braided cable which Audeze sell separately for $399. The cable is cryogenically with a 26 AWG OCC copper wire and 5N silver plating. 26AWG is a decent gauge rating and fairly standard at this price point for good aftermarket cables. There is a touch more resistance on the higher frequencies than some of the larger 22AWG or 8 wire variations at a large gauge level but it will produce a very good bass response with a nice level of top-end sparkle that SPC cables are known to provide. 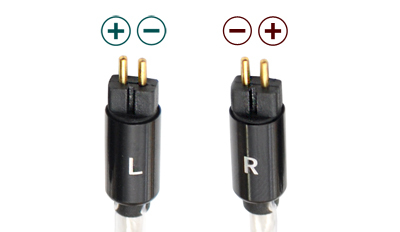 The stock cable is terminated with a 3.5mm gold-plated TRRS plug with matching branded barrel and y-split tube. It also uses a 2-pin 0.78mm connection system which is great news for those who want to try out different cables with 2-pin terminations. The not so good news is the angle as they are designed to be worn straight down meaning aftermarket cables with memory wire will require some adjusting to work. The LCDi4 female socket port is also quite deep-set so aftermarket wide barrels will potentially block a full connection. The other note of caution is the reverse connection of the sockets on the LCDi4 which basically means you have to insert “back to front” to avoid reversing the polarity. 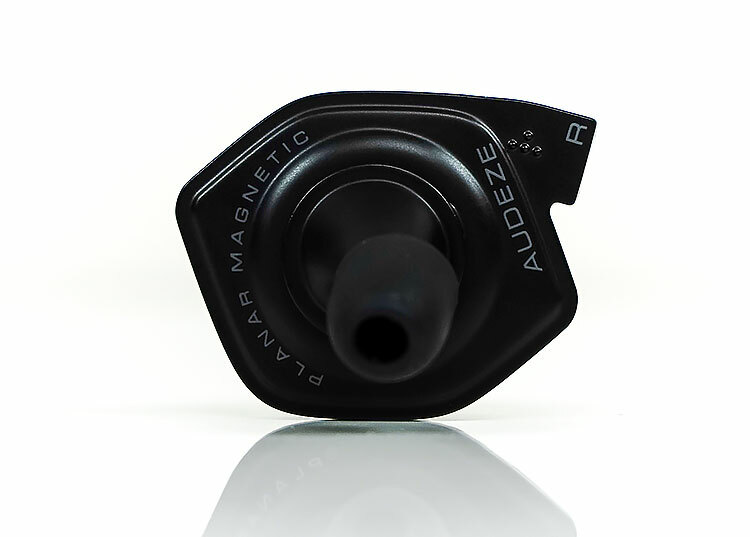 Audeze have provided a little wedge on the inside of the socket to help you with correct alignment. It does mean most cables will be inverted to fit but if you have the groove on your cable socket it will guide you and fit easily. If not it may not fit. Now the weight is just 20g, which is actually lighter than a few more standard shaped IEMs but such is the size and the relative skew in balance to the outside these will not stay in your ear that easily without some additional support. 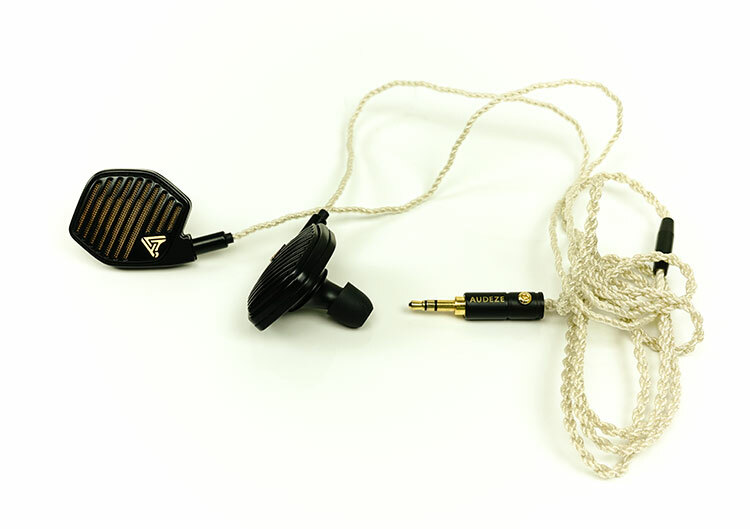 To combat the balance issue Audeze has supplied a number of “hooks” that snap onto the inside of the shell and are designed to go in your ear or over your ear to keep the LCDi4 steady as well as enhance the potential for a good seal with the supplied tips. The alternative ear lock system seems to have been dumped for the LCDi4. The LCDi4 uses the same insertion and hook design as the iSINE series. Once they snap on they create an ‘over the ear’ hang with enough flexibility for a wide variety of ears. There has been a lot of debate on the comfort levels and degree of fit online due to this system. Ultimately, it is a personal thing getting a good fit and my own experience has been largely positive. That is only after moving the hooks around to get the right fit. Depending on where exactly you snap them on the experience can be comfortable or painful. I find that moving them to a slight back angle increases the comfort level and forward slightly increases the discomfort level. Also, the slight thinness of the hooks provides a slightly focused pressure point along the beam which can dig into the ear unnecessarily depending on that angle. They also seem destined to either get lost or break at some point in their life, these types of accessories generally do. I would love to have seen a small compartment in the carry case underneath specifically to carry them also to prevent losses. A small rubber tube on the hooks would also increase the levels of comfort though it would add some additional thickness that may prevent people with glasses using them. This is a semi-open design and by that I mean you will get little or no isolation compared to regular IEMs. Those coming from Baby Stax or EAMT designed oBravos will understand that setup so do not expect to use these in the hope you can block out background noise, you simply cannot. 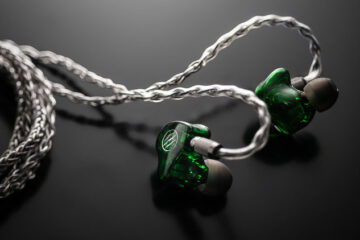 I am a huge fan of open-back designs, they bring a whole new dimension in sound quality to IEMs, quite different to regular IEMs which are the equivalent of closed headphones in some ways. The choice of tip though means you are shooting for comfort and a secure placement rather than isolation. In my previous review of the iSINE 10, we only had access to the smooth tips and not the silicone spiral tips which now ship standard with the LCDi4. My experience has been mixed with some of the new tip sizes. The grip is much better on the all the new tips, no doubt about that. However, the lack of a lip on the LCDi4 nozzle meant there were at times a little more frictional grip on the ear canal than on the nozzle tube meaning the smaller spiral tips often stayed inside my ear when I pulled out the LCDi4. The larger ones worked just fine though so it could be more of a personal thing than any design flaw. The LCDi4 packaging follows a similar theme to the iSINE series just many steps higher in finishing. 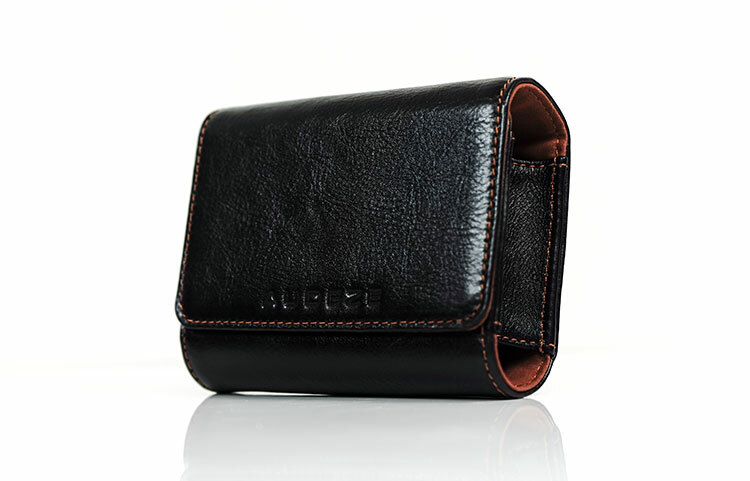 This is again a flip box but leather bound with a much more premium feel. Inside you also get the inset driver holding tray and carry case, however, the carry case is faux brown leather rather than the black nylon of the iSINE versions. The LCDI4 drivers’ inset tray is more than simply aesthetics. Inside each driver is a fairly powerful magnet so if you place them next to each other they will have a life of their own which would not suit a typical carry case. Using this method keeps the magnets fairly peaceful during transportation. Aside from the executive leather-free carry case you get a user guide and warranty on a USB stick, your premium LCDi4 SPC cable as well as the Certificate of Authenticity. You also get an additional lapel clip and cleaning brush. Inside a single plastic bag, you get the remaining selection of accessories including four black ear hooks and Earlocks as well as smooth and spiral ear tips in large, medium and small size. Sadly I have not got the iSINE20 to make a comparison, Mike review it though safe to say the jump from the iSINE10 is significant enough to meet my needs. However, I would say for cipher I prefer the regular cable and a really quality DAC and amp and a bit of EQ. I just think a weak amp id a weak amp and the Apple stuff is weak. For point 3, let me think about it, thats quite a challenge to get right in a few words. I would say the big initial difference is that the HE1K V2 is a bit brighter and more treble aggressive. Hi Marcus, the GREATEST review on LCDi4 I have read! Many thanks on your comparison btw LCDI4 and other hi-end headphones! Your review changed my perspective on Audeze, I was never a fan of Audeze since my hd800 (with CardasClear balanced cable under Metrum Pavane/mytek manhattan 2+DNA Stratus) sound presentation is superior than LCD3 in all the ways. 1. is LCDI4 huge leap from ISINE 20 in all perspective? For performance wise, is the gap btw LCDI4 and ISINE 20 the same as the gap btw ISINE 20 and ISINE 10, especially in terms of sound imaging, distortion, and sound information density/detail? 2. is ISINE 20 a huge leap from akg k3ki (using stock cable in mojo)? Will ISINE 20 with cipher cable in iphone sound better than akg k3ki with mojo? 3. can you briefly compare HE1000 V2 with LCDI4? what are the pros and cons btw them? Shoot I did not save the original settings, just powering it up now and will do a quick reset. Now my DAP is an NW-WM1Z so it may not sound perfect for the ZX300 as I do not have the one here to test out and ironically I have the iSINE 10 and LCDi4 but Mike has the iSINE 20. You can play around with exact amounts by my main aim is to boost the sub-bass response a bit and also the upper mids and vocal range. Personally I think you can get away with a lot more boosting in the 2-4k range without it sounding edgy, particularly on female vocals but it depends on your tastes. Hey man sorry for late reply, will do that when I get back from my travels tomorrow. Can you share your EQ settings? I have a Sony NW-ZX300 and the iSine 20s. I do have a Cipher cable (v2) but would rather run with my DAP! Thanks man, yeah I felt it was an epic product worthy of an in-depth review.